Martin Shkreli, who best became known as “Pharma Bro,” has been sentenced to 7 years in prison. Although his actions were high profile, what led him to his conviction can be a lesson to business owners everywhere. Shkreli’s recent conviction, which includes a prison term, has nothing to do with his antics or the inflated drug prices. Rather, it has to do with the charges against him for defrauding investors and securities fraud. Prosecutors charged that Shkreli lied about hedge funds he ran by faking account statements and hiding losses in order to attract investors. At trial, the government alleged that Shkreli had lied about his own past, about his business history, and about the value and amount of assets that he owned or controlled in order to prop up his own credibility to potential investors. When the hedge funds went under, Shkreli used funds from a separate drug company he had founded to pay back the investors. Prosecutors say that he set up fake consulting agreements and similar contracts with the hedge fund investors to justify funneling assets in the drug company to the investors. While he was doing that he was still advertising the false value of the drug company to potential investors. His attorneys argued that Shkreli’s punishment should be minimal given that, unlike in so many securities fraud cases, Shkreli himself did not make a profit off of the scheme. Prosecutors countered that robbing one group of people to pay another group was not any reason to exonerate him. Ultimately, the fact that the investors was paid back was not considered by the court, which felt that his doing so was only after the allegations of fraud had been made. Not all securities fraud is committed by evil people or those with the intent to defraud. Sometimes it’s done by those who don’t know that what they are doing constitutes fraud. 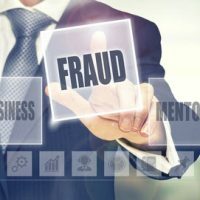 Falsifying corporate books through “creative accounting” can lead potential investors to have a false and possibly fraudulent view of what they are actually investing in. The same can be said of any false statement that is published or provided to others, with the intent of getting them to invest in a company. Insider trading is a type of fraud that we hear of very often. This occurs where someone learns about something related to a stock that is not public information, but is learned through performing the person’s job with a company. That information may be innocently shared with others, but purchasing stock based on that information could be construed as insider trading. Keep your business out of trouble and make sure you’re dealing fairly and legally with shareholders. Contact Tampa business and commercial law attorney David Toback to review your business documents and practices.